I used to talk about the “Nintendo Effect.” The reason why kids of all ages love and get hooked on video games is because of the great educational best practices these games employ. These best practices are: student-centric instead of monolithic, immediate feedback, actionable feedback, the opportunity to immediately go back and re-try, and the ability to collaborate and watch others play and learn from them. You would have to agree, all of these are important to learning whether you are a p-16 learner, business executive, or pro-football player. Right? I have now changed my phrase, however, from “Nintendo Effect” to “Angry Birds Effect.” This change is not just to keep me more in tune with the times, but the fact that Angry Birds does a better job of combining all the best practices than Nintendo ever could. For those reading that have never played Angry Birds let me give you a little tutorial. Basically, you are presented with Angry Birds and a sling shot and your job is to destroy green pigs who are sheltered by very creative structures in a variety of settings. 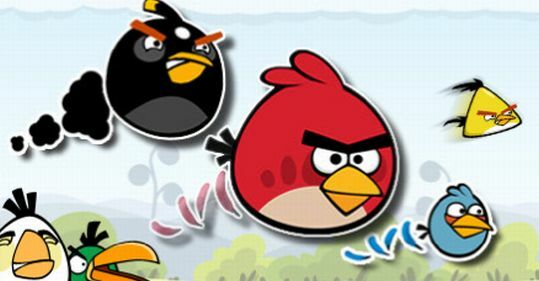 This game, designed by the Finnish game developer Rovio Mobile, was first designed for the Apple IOS system in 2009. Each level starts with the number, types, and order of birds predetermined. If all the pigs are defeated by the time the last bird is used, and you improve your score three times the next level is unlocked. Basically, standards mastery! Upon completing each level, players receive one, two, or three stars, depending on the score received. I want to make sure you understand here, I can play as many times as needed to get all three stars – a little different than the way most students are graded today. Players may reattempt unlocked levels as many times as they wish in order to complete them successfully or to earn additional points or starts. Let’s dig into this concept of “just above” a little deeper. Christensen et al. (2011) asserted, “There is mounting evidence that students’ learning is maximized when content is delivered “just above” their current capabilities – not too much of a stretch, and not too easy. Customization to the “just above” level for each student is much easier to achieve in software than in the current monolithic delivery of most schools.” This adds a whole new dimension to differentiated instruction and modifying learning according to the way students learn. Remember, this is true for adult learners as well. So let’s recap what we can learn from Angry Birds. We must provide a learning environment that is student centric, not monolithic (Christensen et al., 2011); we must provide immediate and actionable feedback; we must provide the students with the ability to go back and keep trying and editing till mastery is achieved; and we must introduce material “just above” where each individual student’s capabilities are. 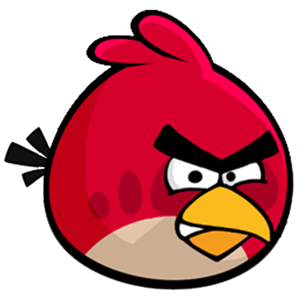 Next time you are planning a lesson, developing a training program, planning a practice, or whatever your profession has you teaching others; think about the best practices of Angry Birds. This past week I wrote a post for EDCompass Blog entitled, SMART Coaching. 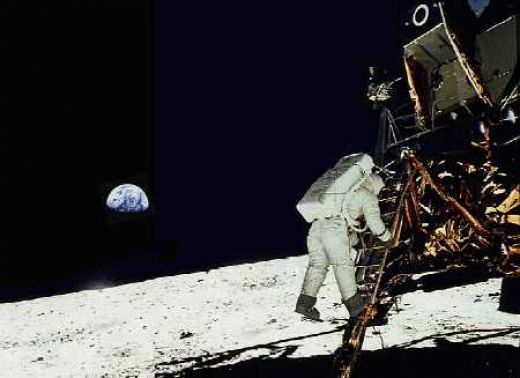 In this post I described how I learned from our basketball coach, Albert Hendrix, how to better differentiate instruction. I encourage you to click here to read the post because I want to go a little deeper in this post. As I reflected on the way Coach Hendrix teaches I realized he is doing what Christensen, Horn, and Johnson (2011) described as “student-centric” in Disrupting Class: How Disruptive Innovation Will Change the Way the World Learns, Expanded Edition. I had this book recommended to me by Scott Shelhart (@KD9SR) during the #TalkToTony Education Twitter Town Hall a couple of weeks ago with Dr. Tony Bennett, State Superintendent of Public Instruction. Christensen et al. (2011) discussed how our educational system is monolithic and needs to be more student-centric. By monolithic the authors mean we teach to only one learning style. Student centric means teaching to the way a student learns. Coach Hendrix teaches is a student-centric manner. 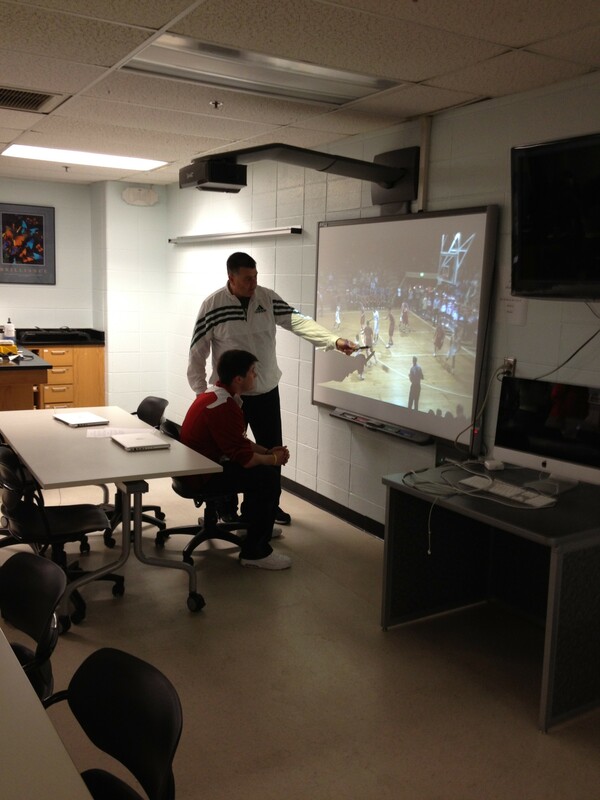 By using the SWELL Classroom he is able to split the team up according to, not only different line-ups, but also the players’ knowledge of the game. Additionally, for those that are more spatial learners (need to see or visual) than kinesthetic, the triangulated SMART Boards give Coach Hendrix the ability to show players what they need to be doing. During the 1800’s education was customized and student-centric by the teacher for level and pace out of necessity – all students were in one room. It is now important for us to once again become student centric. “Teachers can serve as professional learning coaches and content architects to help individual students progress – and they can be a guide on the side, not a sage on the stage” (Christensen et al., 2010).